It's almost the weekend -- wanna ring it in with my favorite cocktail? I promise it's easy, and it's also incredibly unique. The perfect combo. A cute glass from a girlfriend, hi Kate! St. Germain has easily become a favorite of mine. I first had it a few years ago at Mr. Friendly's in Columbia, SC. 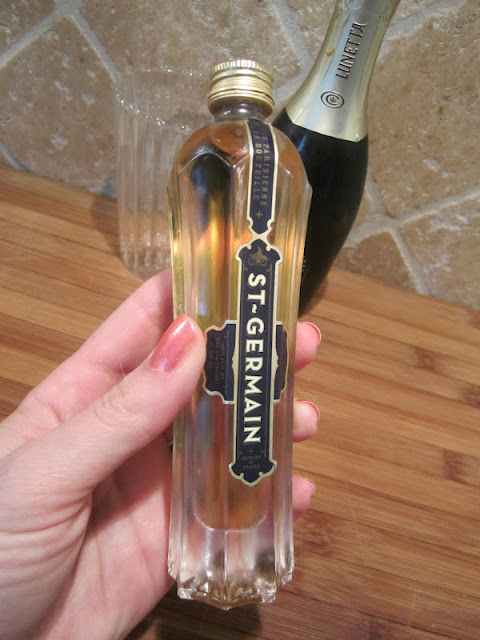 I had this fun mini St. Germain that Laura gifted me in my Christmas stocking. The small split of Lunetta prosecco was the perfect pairing for it. 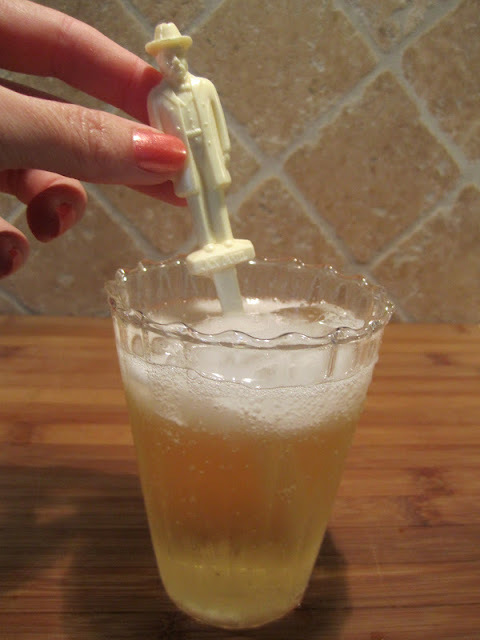 I think this would be the perfect cocktail to whip up for a girls' weekend, a baby shower, or a bridal luncheon. This is my go-to summer cocktail! 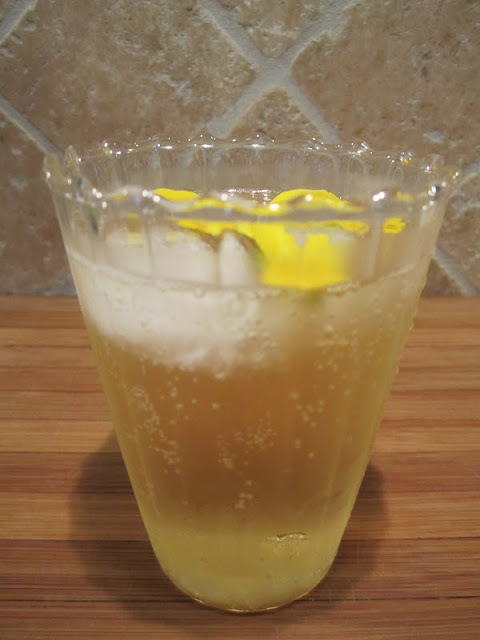 So, easy, so delish, and the elderflower adds something special and unique! 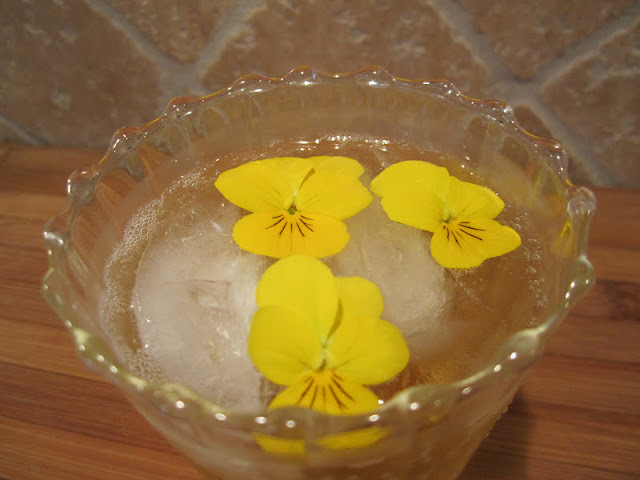 Ok, I keep hearing all of these cocktails with elderflower in them--will have to get some! I love the cute little touch of the edible flower, aren't you so creative?!? September needs to hurry it up! I've never had this, but after baby this is on my list! So pretty with the flowers in it too! Pear Vodka, Sparkling Wine, St. Germain in it and is delicious! St. Germain is classic. I love it to pieces! 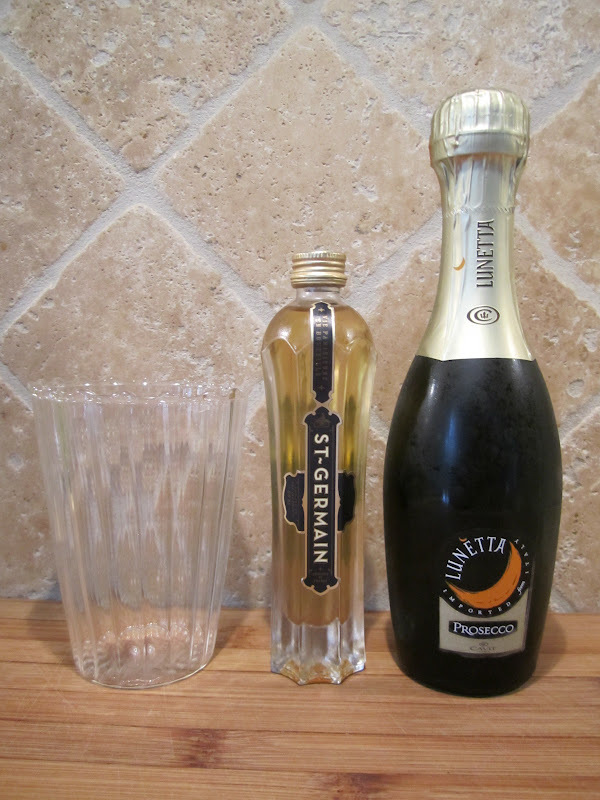 I've been hearing lots of people talking about St. Germain! I think I need to pick some up and try it! Sounds refreshing! Oh yum! I love me some St. Germain. Have you ever made homemade sugar cubes? I found a recipe for rose flavored sugar cubes. Throw one in a glass and top with champagne. So yummy, and it's pink. What could be better? This is one of my faves, too! Thanks for giving me props for the mini bottle. I never heard of St. Germain until today! I need to get some of that for the future! I might be heading to buy a bottle of st. Germain this weekend, I keep hearing such great things about it! I love how you added the pansies- the perfect touch. Thanks for sharing!! I have never tried St. Germain but I might have to now! I've never tried St. Germain. & I didn't know pansies were edible! Crazy! That looks delicious! Weird bc I was just at the booze store and they had minis of that at the checkout. I wondered how it was best used...now I know! MMm this sounds good! Never tried it...may have to soon! Also, I misread where you were from! I thought it said Charleston! I was so excited because I'm moving there soon and love to meet people via blogs that already live there. lol Oops.